Looking for a new Acura? inventory in St. James, NY. With every Acura Accelerated Service, your vehicle will receive a multi-point inspection and a complimentary wash and vacuum. All this is performed in 60 minutes or less by Acura-Trained Technician Teams who use Genuine Acura Parts and Fluids. The experience starts when you arrive. You’ll be met by a Service Consultant waiting to expedite your check-in. Our client lounge offers quiet, comfortable seating, wireless internet access and complimentary refreshments. 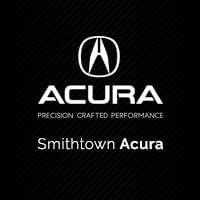 Welcome to Smithtown Acura Serving St. James and the Long Island area. Drivers from Smithtown, Setauket, Commack, Hauppauge, and Nesconset recognize Acura’s position as the foremost manufacturer of luxury vehicles, and they know they can count on finding the newest models and the best service when they come to Smithtown Acura. From state-of-the-art service center to first-class sales floor, we’re here to help. Smithtown Acura will always be home to the latest range of Acura models, including the ILX, TLX, RDX and the MDX. We also carry a vast selection of used and certified pre-owned vehicles to let you choose from a range of classic Acura models and cars from different automakers. No matter what you’re looking for, our sales team will listen to your needs before setting you up with a vehicle to match them. With access to millions of dollars of credit from a diverse selection of lenders, our financial wizards are invariably able to put together the most advantageous loan and lease packages around, whether you have good credit, bad credit, or NO credit at all. We’ll do the hard work, and then present an array of options for you to choose from. We’re also proud to offer incentives for recent graduates and military personnel, and you can apply right from your own home using our online tool. With a large parts department offering genuine Acura replacements and accessories, top-of-the-line equipment, and a highly trained group of service technicians, drivers know they can trust Smithtown Acura to take perfect care of their vehicles. It doesn’t matter whether you need a complete tune-up, a scheduled inspection, or a major piece of repair-work, we’ll get the job done as quickly as possible without ever sacrificing quality.